Following a trial at Chesterfield Magistrates Court on 28th April 2014, Hargurdial Singh RAI, 55yrs and his company ISAR Enterprises Limited, both of North Drive, Birmingham, were convicted of destroying a bat roost, contrary to the Conservation of Habitats and Species Regulation 2010. Mr.RAI is a Managing Director of ISAR Enterprises Ltd, who purchased empty commercial properties situated in Dale Road, Matlock. Their intention was to convert the buildings into dwellings. An ecological report produced as part of the planning conditions identified a roost of Brown long-eared bats roost in the loft space of one of the premises. 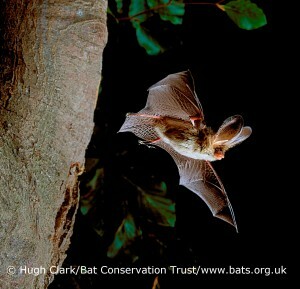 All bats are classed as European Protected Species and both the bats and their roosts are fully protected by law. Any subsequent work could only take place if Natural England had issued a licence. The developers made no application for any licence and went ahead with work, which included replacing the roof and converting the loft into a room. The work resulted in the destruction of the bat roost. The Bat Conservation Trust who also provided evidence, reported to Derbyshire Police, who with the assistance of the National Wildlife Crime Unit investigated the allegations. RAI had denied the offences, but was convicted following yesterday’s trial. Upon conviction CPS Prosecutor Rod Chapman made an application for a hearing under the Proceeds of Crime Act. RAI and ISAR Enterprises Ltd were committed to Derby Crown Court for sentence and a POCA hearing to be heard on 2nd June 2014. It is believed that this is the first time that the Proceeds of Crime Act has been considered for offences relating to bat persecution, which is one of the six UK Wildlife Crime Priorities.